Zoll Medical produces a full line of high-quality defibrillation products to ensure fast, effective treatment of sudden cardiac arrest (SCA) for higher survival rates. 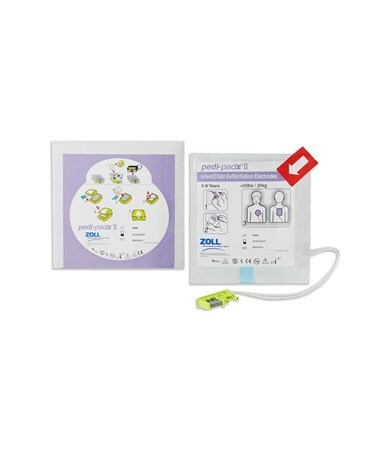 Their revolutionary electrodes, pedi•padz® II (the pediatric equivalent of CPR-D•padz®), combine the typical (and confusing) two-electrode system in one pre-connected simple entity. Each innovative pad features graphic instructions printed directly on the pad for proper placement with no second-guessing and has a two-year shelf life. The pad is safe for pediatric use in children up to eight years. 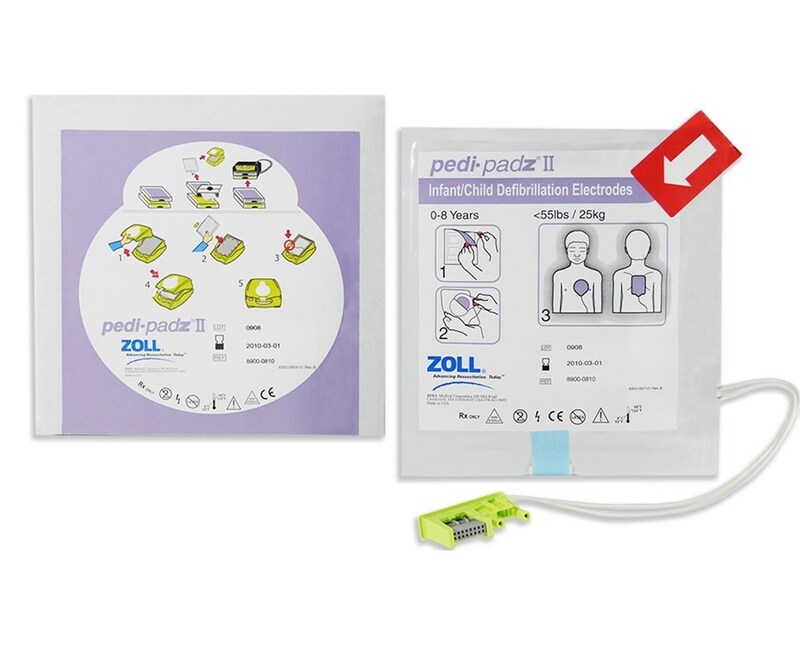 pedi•padz® II are compatible with AED Plus®, AED Pro®, and E Series defibrillators and are imperative for use of the Real CPR Help function, which ensures that critical CPR is given correctly for optimal resuscitation efforts, even in those with little or no CPR experience.